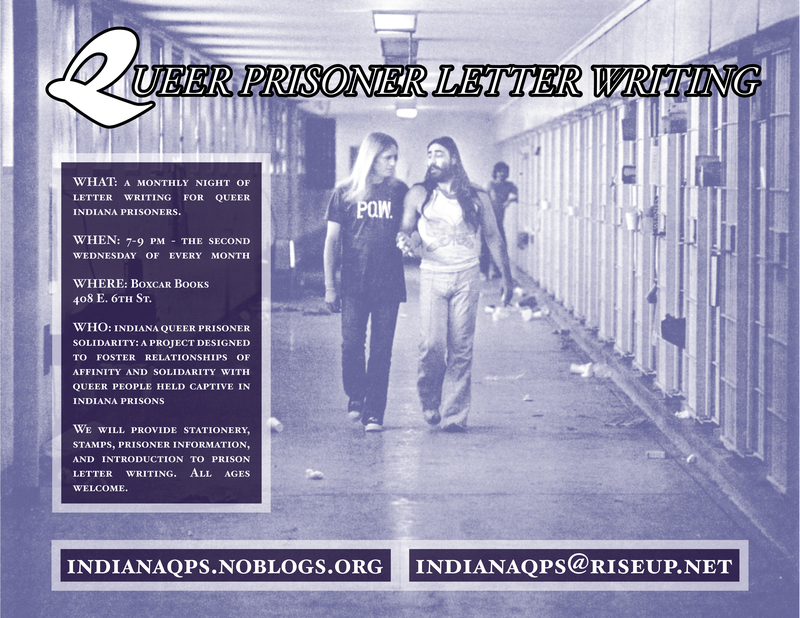 A monthly letter writing night for queer Indiana prisoners! Come send letters to queer and trans people held captive in Indiana prisons. We will provide stamps, stationery, prisoner contacts, information on writing to prisoners, and snacks. All ages welcome. Oscar Lopez Rivera is a Puerto Rican Independista and political prisoner serving 70 years for seditious conspiracy. Oscar is currently imprisoned at FCI Terre Haute. 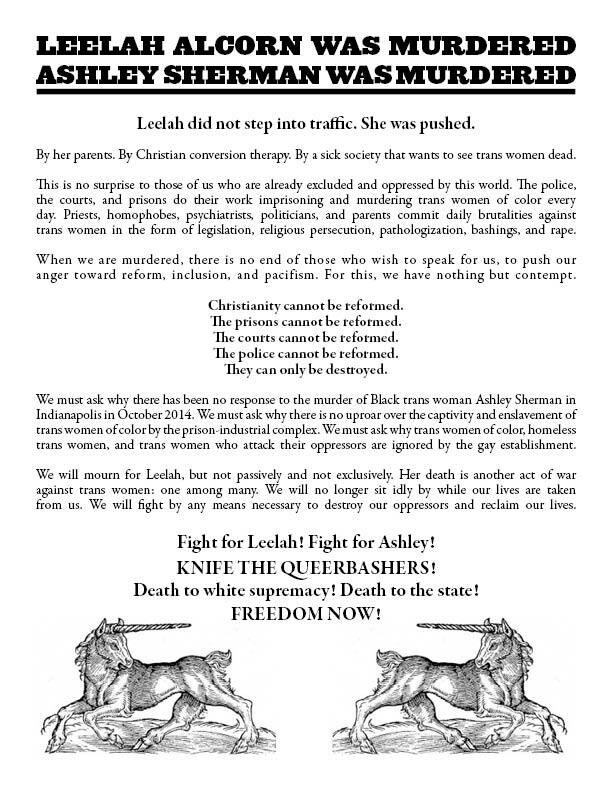 We here at Indiana Queer Prisoner Solidarity know that there can be no queer liberation without the destruction of colonialism. 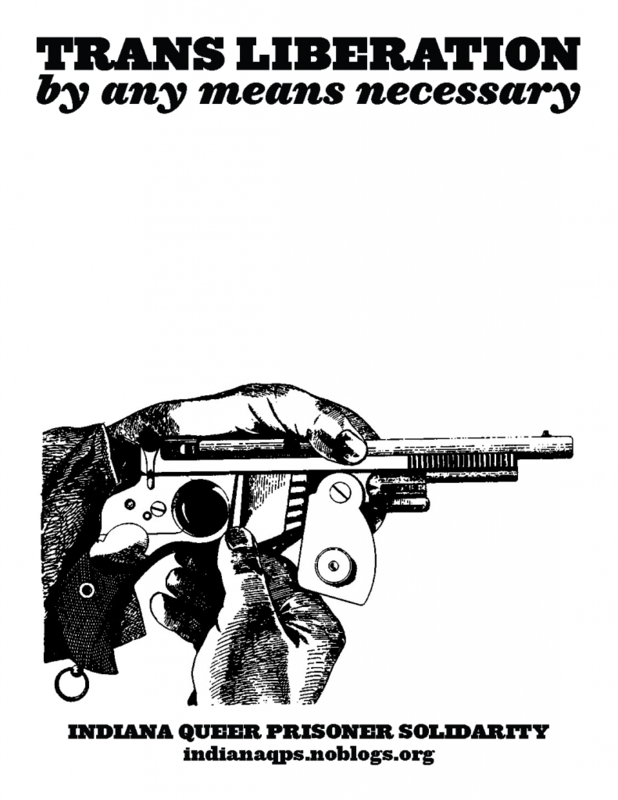 Solidarity means we must struggle together with other oppressed people(s) toward the goal of liberation. We hope others will join in this campaign to free a fighter from the jaws of the state. Inspired by the “5th of every month for the Cuban 5” campaign and the 33 x Oscar initiative in Puerto Rico, The ProLibertad Freedom Campaign has decided to dedicate the 29th of every month to Oscar Lopez Rivera! 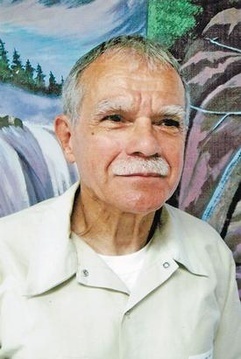 On the 29th of each month, we’re asking all our allies and supporters to CALL THE WHITE HOUSE AND DEMAND THE RELEASE OF PUERTO RICAN POLITICAL PRISONER OSCAR LOPEZ RIVERA! Call President Obama at 202-456-1111 and leave a message! Let him know that Oscar Lopez Rivera has been in prison for too long and deserves to go home! We need to flood the voice mail with our united demands for freedom! President Obama, I ask that you free Puerto Rican Political Prisoner, Oscar Lopez Rivera. Since 1981, he has been in jail for fighting for Puerto Rican independence; he never committed a violent crime and has been a model prisoner. I ask that you follow in the foot steps of Presidents Truman, Carter, and Clinton, who freed other Puerto Rican activists, and set Oscar free! Posted in General	| Comments Off on The 29th of Every Month for Oscar Lopez Rivera! Posted in General	| Comments Off on Remember Leelah Alcorn & Ashley Sherman! Trans Liberation Now! Marius Jacob Mason will be turning 52 in a few weeks! In solidarity with our friend and comrade, there will be a letter-writing and card-making night on January 14th. 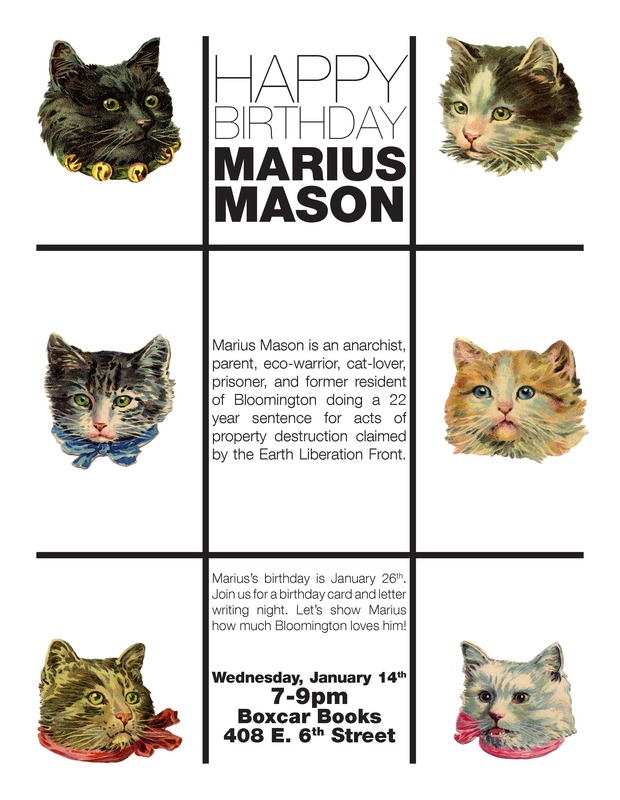 Marius is an anarchist and former Bloomington resident who is serving an almost 22-year sentence for acts of property destruction against ecocide and animal exploitation. He is currently held in a highly-restrictive prison and continues to struggle for his dignity amidst the dehumanization of imprisonment. This year, Marius publicly came out as transgender, and now faces a new terrain of struggle as he attempts to secure gender-affirming changes such as a legal name change, hormones, and surgery. Sadly, Marius’s mother, Karin, died on December 3rd, 2014 at age 76. Being unable to be present with a dying parent is an excruciating experience and one of many ways in which prison attempts to impose its misery and isolation. Now, more than ever, Marius could use our love and support. 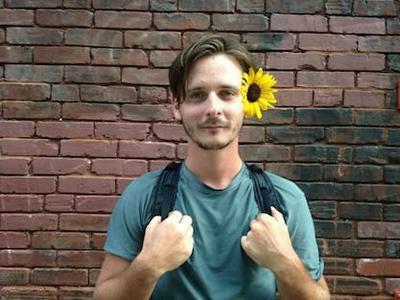 More on Marius at his support site. 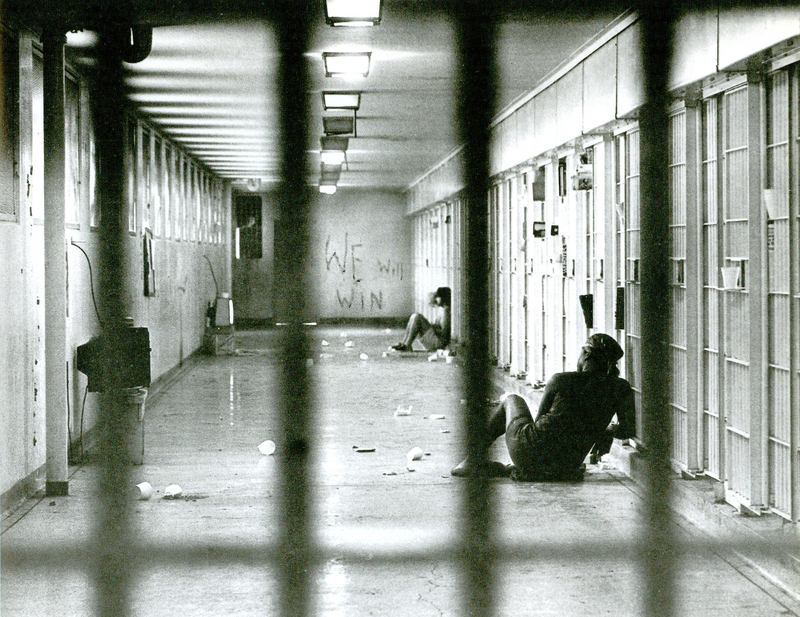 The Final Straw presents an interview with an anarchist living in Bloomington, IN about current and former instances of racist and institutional violence against inmates at the Pendleton Correctional Institution in Madison County, Indiana. These men are clearly being targeted and excessively punished by a chauvinist administration which allows racist groups to form and thrive within their walls while snuffing out any and all sparks of radical organizing. New Castle’s mailroom is another venue for racism and subjugation; it’s standard procedure for them to throw away or deny prisoners access to anything of an explicitly political/revolutionary nature, as well as anything related to black liberation and/or black empowerment. This blatantly racist repression will not be tolerated! Additionally, Pendleton recently implemented a ludicrous new policy regarding the books prisoners are allowed to receive: they’re currently accepting publications from only three bookstores, two of which are religious (one Christian, one Islamic). This is obviously a move to stifle political action, as radical reading materials are invaluable in fostering connections between prisoners and enabling political organizing in an isolating environment. Today, Monday, September 8th, join us in protest: call in to the DOC office to demand that they abolish the stifling of radical politics/black empowerment through mailroom censorship, and allow inmates to receive books from any publisher they choose. Posted in General	| Comments Off on SUPPORT LUKE O’DONOVAN!